The adenoid basal carcinoma (Fig. 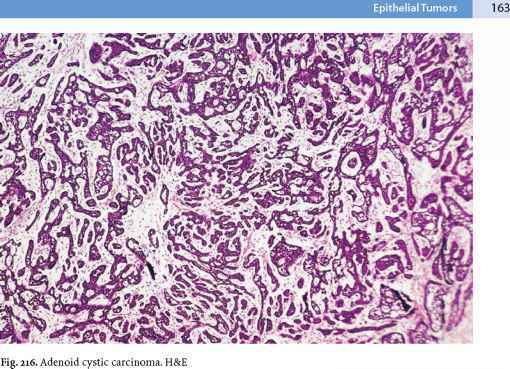 219) must be differentiated from the adenoid cystic carcinoma because of its much better prognosis (Hart 2002). 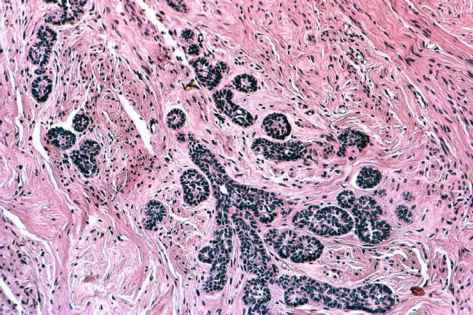 It consists of small, round to oval branching nests of cells, resembling those of basal cell carcinoma of the skin, with palisading of the peripheral cell layers. 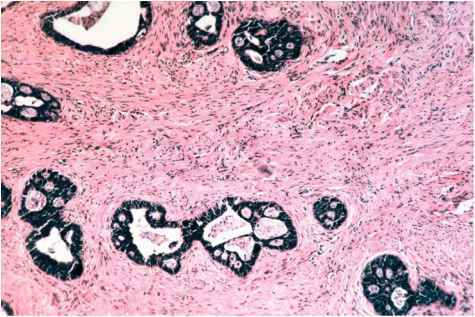 There are no or only rare cystic pseudoglands. 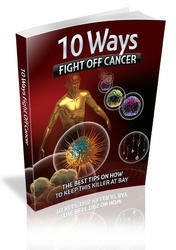 The tumor cells are small and uniform, with rounded hyperchromatic nuclei in scanty cytoplasm. Mitoses are infrequent. Adenoid cystic and adenoid basal carcinoma have a similar cytoskeleton of intermediate filaments, which indicates they apparently arise from pluripotent reserve cells of the endocervix (Ferry and Scully 1988; Grayson et al. 1999). ■ Differential Diagnosis. 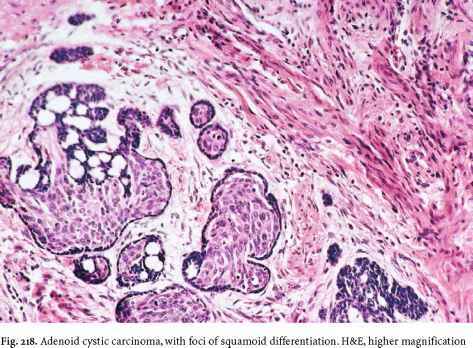 It is important to distinguish adenoid basal from adenoid cystic carcinoma because a patient with adenoid basal carcinoma has a much more favorable prognosis; only a simple hysterectomy is required (van Dinh and Woodruff 1985). 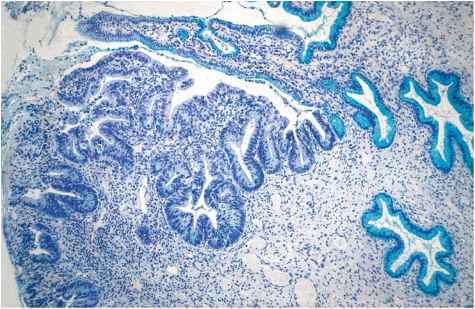 Histological differentiation is possible by applying the different architectural and cyto-logical features described above.